Wild jubilation that greeted the arrival of President Muhammadu Buhari from London on Friday, August 19, 2017 after his 104 days of medical vacation was a clear indication that a fair percentage of the masses still love the president. The huge crowd that lined the streets of Abuja were evidently not rented despite the very short notice of the president’s arrival. The crowd that welcomed the president would have been extremely tumultuous if a prior two-day arrival notice had been given. This show of love was a clear demonstration that the long-suffering masses of this nation still harbour a modicum of affection and trust for President. A whole lot did transpire while the president was still recuperating in London. The populace was sharply divided along interest lines. One of the two interest groups became preoccupied with sinister death and incapacitation wishes for Buhari. Few politicians of the Northern extraction unconscionably threw caution to the wind by getting themselves engrossed with schemes to become vice-president in anticipation of the President Buhari’s demise or incapacitation worst still. On the other hand, the second interest group that included nationals of other African countries got themselves connected to the throne of the greatest physician by making daily supplication to God for restoration of President Buhari to full health. At a certain stage while the president was still convalescing at the Abuja house in London, the streets of Abuja became a theatre of some sorts for the anti-and pro-Buhari protesters. The anti-Buhari protesters took to the streets of Abuja and London, calling on the president to either resume work or resign from office. 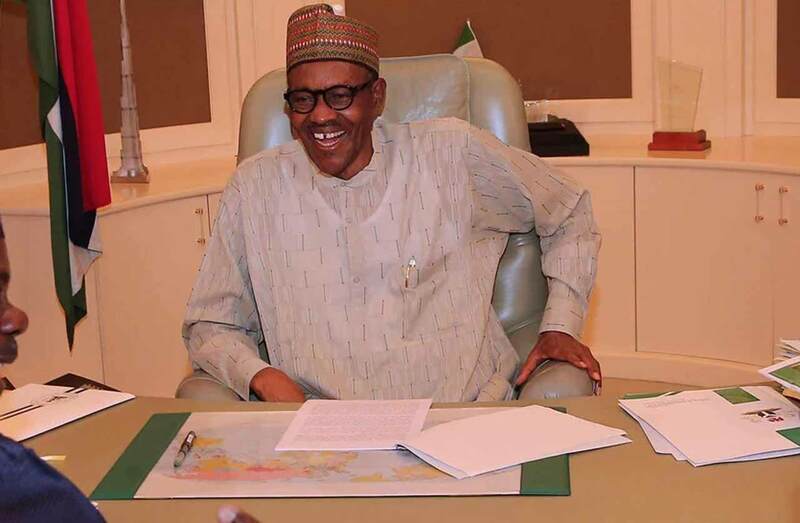 The effusive joy displayed on account of the safe return of President Buhari in restored good health must have been largely informed by the unceasing hate speeches made against him by some Nigerians. In spite of the love demonstrated when Buhari arrived from London, it is important to establish the fact that the president’s popularity had dwindled significantly even before he embarked on his medical vacation. His popularity had also suffered further diminishing while he was away in London. It is equally a reality that suffering and lack have become more pronounced in the economic life of an average Nigerian. Right now, the commoners are still passing through the crucible of harsh economy without any hope of immediate respite. In fairness to Buhari, economic plight of an average Nigerian was not directly caused by him. Anyone who claims ignorance of the mindless looting of Nigerian treasury and running aground of the nation’s economy by the Peoples Democratic Party (PDP) in its 16 years reign must have been living in Pluto. Buhari had lamented the magnitude of this economic plundering at several fora; but the earlier he terms with the reality that he was elected to fix the economy and not to complain, the better for him. In line with the popular votes given to Buhari in 2015, most Nigerians had expected him to hit the ground running immediately after he was sworn into office. 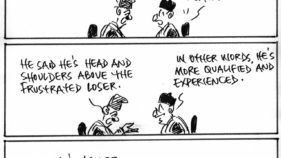 Rather Buhari’s extreme carefulness has turned out to be a snail speed movement for him in making decisions in appointments. Upon the arrival of Buhari and his resumption of work, Nigerians had also expected him to have dished out some important decisions to convince the doubting “Thomases” that he is now a better and a more resolute president. But so far, much has not come from the president aside the signing of nine different bilateral agreements. 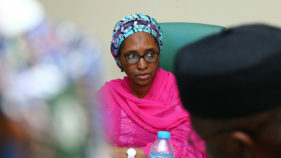 The signed agreements included the Extradition Treaty between Nigeria and United Arab Emirates (UAE) toward strengthening Nigeria’s anti-corruption campaign. Essence of this agreement is the strengthening of economies and security of the two countries. The president must move beyond loot recovery alone by ensuring that all recovered loots are ploughed back into the economy for its quick stimulation and to ensure that Nigerians under the weight of grinding poverty can heave a sigh of economic relief. It is needless to reiterate that Buhari is already in the third year of his tenure and he must realise that he no longer enjoys the luxury of time. The President, members of his cabinet and top hierarchy of his party, APC, must double their efforts henceforth if they hope to retain the Aso Rock seat beyond 2019. It has now become imperative for the president to replace some of his ministers with better hands. Competence aside, some of Buhari’s close appointees are only loyal to their pockets and mundane pursuits. It is so pathetic that some of Buhari’s appointees are obviously not favourably disposed to his anti-corruption war. So far, the anti corruption war has been a lone battle for the president, his vice and few other committed appointees. Buhari sure knows this fact and I expect him to show the exit door to his appointees whose loyalties and integrities are in doubt without any further delay. As a matter of urgency, Buhari also needs to strengthen his economic team and ensure that new policies henceforth must be churned out and implemented with human face. It is also imperative for the President to reduce inflation rates and exchange rate of the naira to other leading global currencies. 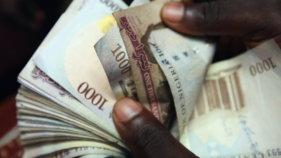 The naira needs to be strengthened while enhanced liquidity of the economy should be aggressively pursued. President Buhari should make efforts to encourage massive investment in agriculture in the country. The president needs to constitute a committee that will work out a workable and implementable plan on subsidising the prices of staple food items that are produced locally. This suggestion may not make much of economic sense to some people, but subsidising the cost of staple food items is far better than importation and it also guarantees economic relief for the masses. Short-term subsidy regime of staple foods prices has become expedient for the President in view of current inflation rate and shrinking purchasing powers of the masses. Granting of soft loans to a good number of deserving Nigerians is another step that could make new business enterprises to spring up and bolster liquidity in the economy. Expectedly, beneficiaries of these loans are bound to experience new lease of lives and improved economy. The free school feeding policy of the APC should be extended to all the 36 states of the federation and Abuja as soon as possible. This policy will expectedly provide hundreds of thousands of jobs along the value chain and guarantee higher liquidity of the economy. Downward review of the prices of petroleum products is another issue that must attract attention of the president. Prices of petroleum products in Nigeria are known to always have an immediate and corresponding impact on all sectors of the nation’s economy. It is also important for Buhari to quickly work out an understanding with the 36 state governors in the country on the need for regular payment of salaries to the civil servants. This factor has been the major reason for the hardship being experienced by Nigerians. The trickle down effects of regular salaries have since become haphazard due to irregular payments to the civil servants. Speedy completion of ongoing capital projects should be another area of concern for Buhari. Aside the creation of employment opportunities, purchasing powers of the would be workers of the construction companies are bound to be strengthened and extended. The war against corruption being waged by Buhari must be sustained with utmost commitment. The president must engage in a personal appraisal of the roles so far played by the Attorney General and the EFCC chairman to determine who is really a clog in the wheel of his war against corruption. Cyber crime must receive the President’s urgent attention in view of the increasing rate at which the crime is being perpetrated especially by the younger generation. Aside the international negative ripple effects of cyber crimes, majority of the nation’s youths are now taking ignoble routes that are bound to lead them to failure, intellectual laziness and voodoo practices. As a matter of fact, the anti-corruption war of Buhari must be holistic and nondiscriminatory. The fight against corruption must be total and devoid of double standard.Mockery of this fight would be made if it is targeted at only the members of opposition PDP. More importantly is the need for Buhari to vigorously renew the war against terror. The Nigerian Army and the Air Force must brutally smoke out relics of the dreaded Boko Haram fighters from their places of hiding and operational bases. Buhari must also do away with ethnic sentiment by coming down very hard on the murderous and destructive Fulani herdsmen. The killer herdsmen have constituted themselves into a huge security threats and should in the same measure with Book Haram be decisively death with. The president must also come down very hard on the peddlers of hate speeches, kidnappers and ritual killers through the instrumentality of Nigerian laws.Needless to reiterate that the battle for 2019 presidential election has begun in earnest. The president is truly at liberty to work assiduously for the reversal of the negative trend of poor economy, insecurity and bad governance.